[Amazon has] devalued the concept of what a book is, and turned it into a widget. That’s Dennis Johnson, publisher, quoted in a Salon piece called “Amazon is worse than Walmart.” The impetus for that headline is President Obama’s visit on Tuesday to an Amazon warehouse as a part of his heartland-jobs-speech swing. The article, by Daniel D’Addario, is critical of Amazon’s labor practices, which is a valid area of concern: even though the spurt of new Amazon jobs that Obama is touting include health benefits, 401(k) plans, and stock options, it is fair to say that Amazon has been guilty of some of the worst big-box-style sins when it comes to wages and work conditions. Critics are right to raise concerns about the president’s willingness to tacitly endorse such practices, and to point out that the “good” jobs being showcased are not entirely representative of the employment culture at Amazon (though they are also cause to be hopeful about a change in direction for the company). Let’s be perfectly clear. When D’Addario writes “bookstores and book culture,” what he means is “the publishing industry,” which is a curious candidate for sympathy alongside the plight of low-wage workers. It has effectively cartelized an art form, and in the process marginalized the contribution of authors while pocketing their income, screwed millions of readers out of money and content, and refused to adapt to the realities of the present decade or even the last few preceding ones. It continues to exist in its current form only because of sheer inertia. To accuse Amazon of a “war on book culture” for undermining the status quo and making books more accessible requires either serious gall or incredible ignorance. Here is why Dennis Johnson’s line, along with the “book culture” canard, sums up everything that is wrong with publishing when he says that Amazon has reduced books to “widgets” by slashing prices, pioneering eBooks, and offering authors a self-publishing service. Johnson is saying that books themselves—physical books, and the stores that they are sold in, and the profits they generate for those who have absolutely nothing to do with the creative process that goes towards producing them—are not the means to an end for the authors wishing to share their ideas and make a living and the consumers who enjoy reading and supporting writers, but the ends themselves, far removed from the ideas contained within them or the readers who consume them. The notion of “book culture,” when it is used to refer not to appreciation of books for their content and what they represent to their readers and authors but instead to their mere presence as an institution, is part of a long legacy of publishers shoving themselves between creators and consumers and asking to be rewarded for doing so. That’s why the notion of Amazon making books widely and cheaply available for a wider swath of customers and with the most diverse possible selection of authors (including self-published ones) is so foreign and offensive to someone who, even if he is an independent publisher, is nevertheless wedded to the old-guard way of doing things. I feel bad for singling out Johnson for one ill-given quote. Even if he is deluded by anti-Amazon impulses because Amazon represents a threat to his status quo, he is not the bad guy. His company is Melville House Publishing, an independent outlet based in Brooklyn that Johnson runs with his wife and that won the “indie publisher of the year” award in 2007. He has noble intentions, no doubt, and it’s likely that Melville House has published books that would not have gotten a second look from larger publishers, which is a good thing. But no independent publisher is truly independent, because the Big Six (Hachette, Penguin, HarperCollins, Macmillan, Simon & Schuster, and Random House) completely control distribution networks. Indie houses can’t exist unless they enter into distribution contracts with the Big Six, meaning Johnson’s company and hundreds of others are both direct beneficiaries of and contributors to a system which treats books not even like “widgets” or tools, but as moneymakers and nothing more, that which keeps the doors open. Meanwhile, they pass their own operating costs on to readers (high prices) and writers (small royalties and rapidly shrinking advance payments). Brick-and-mortar bookstores are likewise dependent on the Big Six distribution network; Amazon decidedly is not, and has taken action wherever possible to distance itself from the publish establishment and even to chip away at the distribution network itself with print-on-demand (not to mention the Kindle). About that question of costs. Until recently, it was only an open secret that the Big Six engaged in price fixing. That’s what cartels do. This month, however, we received factual confirmation—and with it, evidence of just how brazen publishing companies have gotten in their desperation to remain relevant. Here is the short version: five members of the Big Six worried that Amazon’s willingness to sell eBooks at a loss was a sign that they were trying to force publishers out of business and replace them with a model that involved “signing deals with authors that lowered book prices and gave writers a bigger cut on each book sold” (quelle horreur). So the publishers illegally colluded with a fellow anti-Amazon stakeholder—Apple—to fix prices in an effort to slow Amazon’s sales. It worked until a federal judge instructed the publishers and Apple to stop breaking the law. Scott Turow—president of the Authors Guild, lover of traditional publishing, and hater of the Internet—issued a Johnsonesque statement at the outset of the Justice Department investigation: if it succeeds and the price-fixing is halted, he said, it “would be tragic for all of us who value books, and the culture they support.” Cue strings. More books are being published today than ever before. More people are reading books today than ever before. 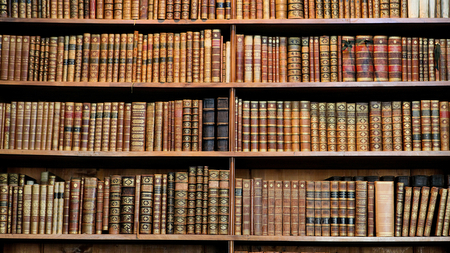 More people are writing books than ever before. Books that would never have been published in the past are regularly published today. There is an astounding wealth of cultural diversity in the literary world. Sure, some of it means a lot more competition for the small group of authors (only about 8,000 or so) that Turow represents… oh wait, I think we’ve perhaps touched on the reason that Turow is all upset by this. But, of course, more competition for that small group of authors does not mean the culture of books and literature is at risk at all. Quite the opposite. Indeed. And a huge part of the ongoing revolution in book culture has to do with self-publishing, which has taken off (15 million books were self-published in 2012, versus 300,000 in 2002). This is a process which benefits authors, readers, and even retailers, and removes publishers from their position as the arbitrary judges of what constitutes quality and what will sell. Amazon jumped on that bandwagon early. The rest of the industry did not. “No way could individual authors threaten our market position,” the thinking undoubtedly went. Substitute “authors” for X in that sentence, and you have a formula for any arrogant industry’s famous last words.